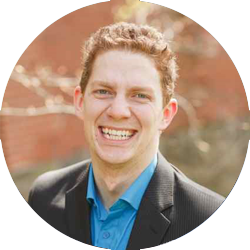 Dr. Matthew Sheppard is originally from Newfoundland where he completed undergraduate studies in Psychology, French and Medicine. He is passionate about medical education and has been involved with many PGME committees during his Anesthesia residency training in Ottawa. Matthew has also sat on the board of directors for the Canadian Residency Matching System and the Canadian Medical Association. He most recently completed a fellowship in Chronic Pain Management at Toronto Western Hospital and the Wasser Pain Clinic, and is currently completing his residency in Pain Medicine at the University of Toronto. 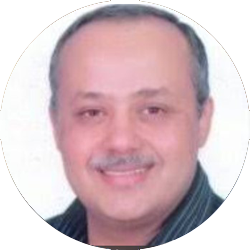 Dr. Maged Andrawes completed his master’s and medical degree in Anesthesiology in 2003 from Cairo University, Egypt. He worked as Anesthetist in the Omani National Trauma Center and in UAE. 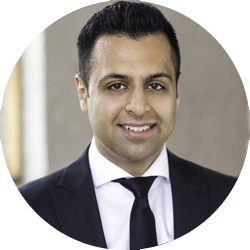 After immigrating to Canada in 2010, he completed the Medical Council of Canada examination and Clinical Research Diploma from Humber College in 2012, and later worked as clinical research assistant at Toronto Western Hospital – Department of Anesthesia with the University of Toronto. Maged completed his certification as an Anesthesiologist with the Royal College of Physicians and Surgeons of Canada in 2017, and continued to join the Pain Medicine residency program at the University of Toronto later that year. He is currently a PGY-6 in Pain Medicine and is interested in community pain medicine practice and its multidisciplinary approach among the community pain physicians. Dr. Mian completed both his undergraduate degree in Pharmacology and medical school at the University of Alberta.He then completed a 5-year residency program in Physical Medicine & Rehabilitation at the University of Toronto prior to joining the Pain Medicine subspecialty residency.He is certified as a Sports Medicine physician by the Canadian Academy of Sports & Exercise Medicine and as a Physiatrist by the Royal College of Physicians and Surgeons of Canada.His interests include physician education, interventional pain management, musculoskeletal & sports rehabilitation, opioid weaning, and regenerative medicine. Dr. Ehtesham Baig completed his undergraduate and graduate degree in Immunology prior to starting medical school at Queen’s University. 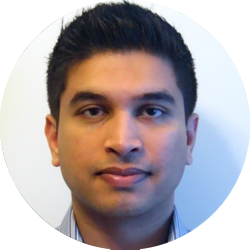 He then completed his training in Anesthesiology at the University of Toronto in 2016. Ehtesham is currently a PGY-7 in Pain Medicine and is the Chief Resident for the residency program. He is involved in curriculum development for pain education at the undergraduate and postgraduate levels and has developed e-modules to support these programs. His area of interest is cancer and Palliative Pain Management, and will be pursuing a fellowship subspecialty in 2018 at the Memorial Sloan Kettering in New York City.